Here are a variety of options to think about when considering how to save up money for college. In 2018, the Edmentum Research and Design team completed a study that was set in an Oklahoma school district. This district used Test Packs to structure instruction and prepare high school juniors for the ACT test, which is a portion of the state’s accountability system for high school graduation. The district requested support from the Edmentum Research team to examine the relationship between usage of Test Packs and student performance on the ACT test. For many of us, just hearing the words “standardized test” can mentally trigger the rhythmic taunting sound of a clock counting down the minutes. Timing has become a huge part of standardized test taking, and in the recent college admissions fraud scandal, parents exploited extra-time accommodations to give their kids the upper hand while testing. But do tests really need a time limit? Read this story and more in this week’s EdNews Round Up! Free planning guides for your school’s long-term success! 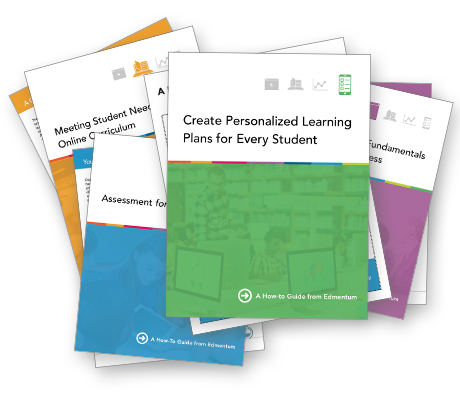 Guide #2: Blended Learning: Planning Process Fundamentals ...and more!